Sappho was an ancient Greek female poet who wrote lyrical poetry famous for its intense passion and description of love. Being born on the Isle of Lesbos she is also referred to as the first Lesbian poet. Little is known of her actual life, though she was born around 620BC, and died approximately 50 years later. Unfortunately, much of her poetry has been lost, although some poems have been painstakingly pieced together through surviving fragments. Details of her life are hard to piece together as there are few reliable sources. For example, historians are unsure about whether to take her poetry as reliable autobiographical evidence. However, evidence from the period suggests she was temporarily exiled to Sicily because of political troubles on the island of Lesbos. Sapphos is sometimes referred to as a lesbian. The word lesbian is actually derived from her place of birth – lesbos. However, there is no hard evidence about her sexuality. Her poems express great passion for a variety of people – both men and women; they may have been autobiographical or not. A philosopher Maximus of Tyre wrote that the friendships of Sappho were similar to those of Socrates – suggesting Sappho had a circle of like-minded friends brought together by a love of art, poetry and culture. 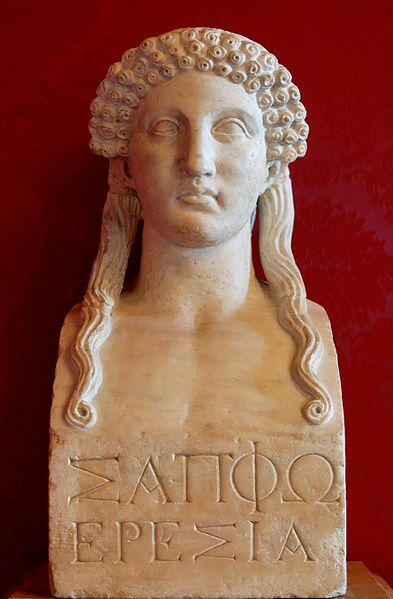 It has been suggested, with little authority, that Sappho may have been the head of some formal academy like a school. However, it is more likely to be a less formal circle of friends. The poetry of Sappho often revolves around themes of love and passion, and has a clarity and simplicity of language; within her poems, there is great vividness and directness. The style is often conversational – giving an impression of immediacy and action. The poems were also sung to music, meaning they needed to be lyrical in form. Her poems were written in Aeolic Greek dialect; as this dialect was quite rare, it explains why her poems became increasingly lost as fewer people were able to translate them. The difficulties of the Aeolic Greek metre, also means there is considerable variance in English translations. Citation: Pettinger, Tejvan. 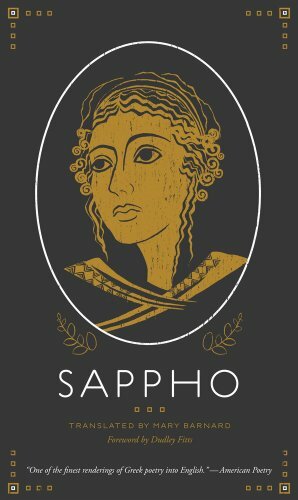 “Biography of Sappho”, Oxford, www.biographyonline.net Published 3 Sep 2012. Last updated 8 February 2018. I LOVED THIS WRITING ASSIGNMENT WITH THOS LADY SHE WAS SUCH A MICE PERSON WHEN SHE HAD HER TIME TO LIVE.